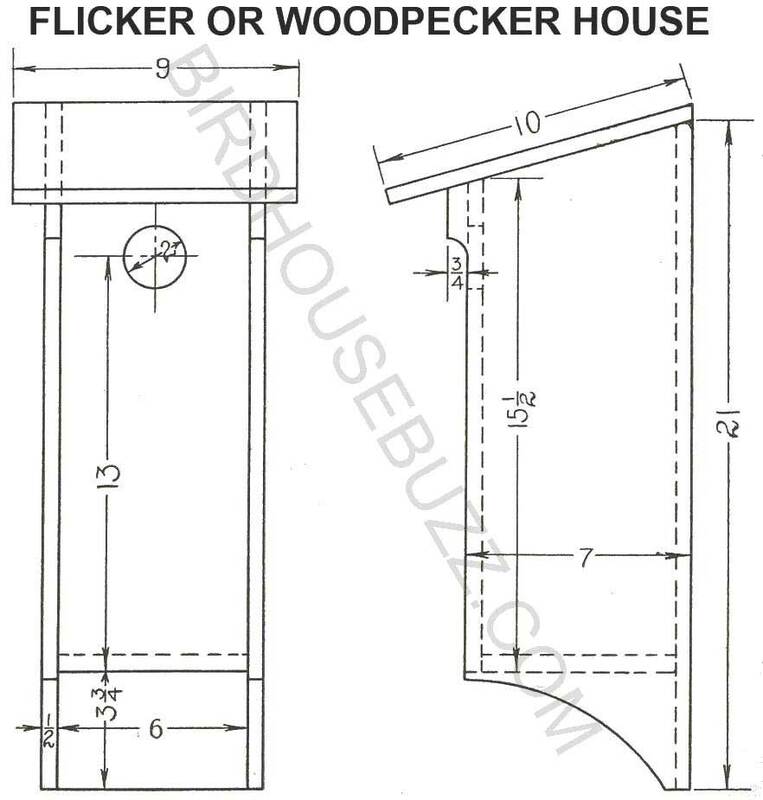 Build a woodpecker or flicker bird house with free plans. The flickers spend much of their time on the ground in search of ants which form the larger percentage of their food. Since ants sometimes cause considerable trouble for other birds, a pair of flickers are worth cultivating for the sake of the work they can do. 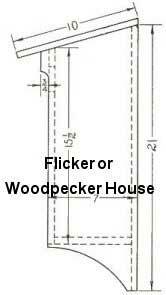 Artificial nesting boxes of sufficient depth and size are quite readily used.